Ukraine, Kyiv, St. 7 Mykhaila Omelyanovicha-Pavlenko, of. 7. Your Driver Company is one of the few that has all necessary legal permits for providing transportation services in Ukraine. 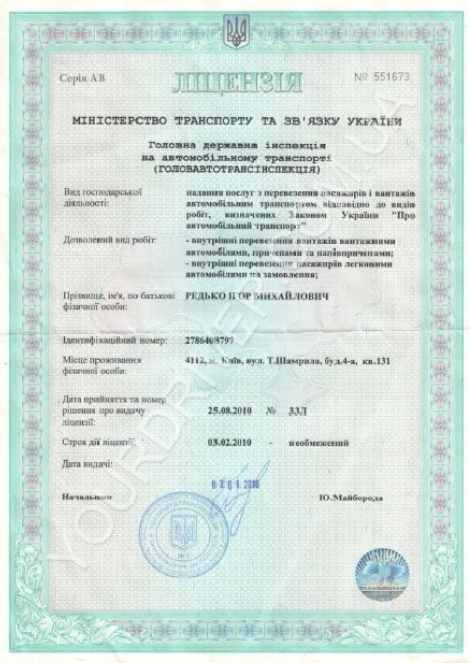 According to the Act of Ukraine “About Automobile Transport” dated 05.04.2001 № 2344-III every transport company is required to obtain a license of The Ministry of Infrastructure of Ukraine to provide transport services to legal entities and individuals.The presence of a license confirms the necessary qualifications and technical capabilities to provide quality transport services. 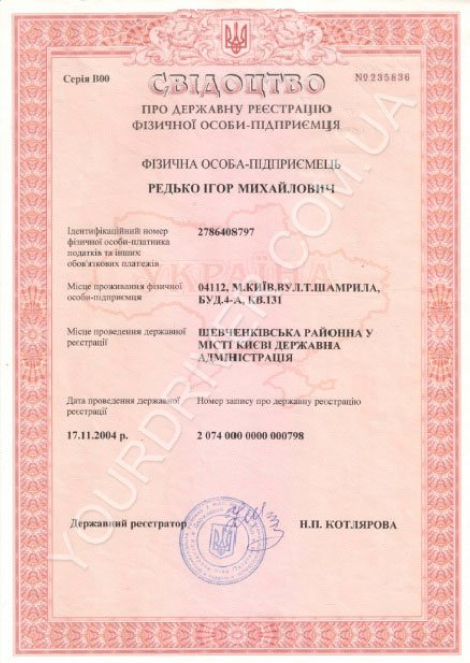 Your Driver Company has License AB №551673 dated 03.02.2010 with unlimited period of validity. You can see our license and certificate of state registration below.